Anyway, I wanted to bake something chocolate for my mother, for there's little she loves above chocolate, but was daunted by the limited baking tools in her kitchen. 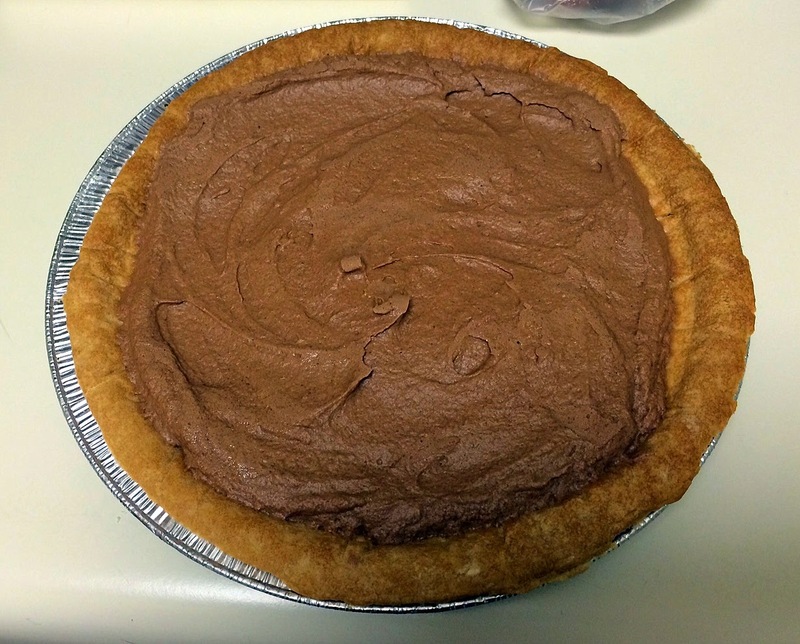 Then I discovered this French Silk Chocolate Pie recipe -- easy and perfect! The only tools required are a bowl and beater (and a pan or microwave to melt the chocolate). The recipe says it's "very rich and chocolaty" and it is. 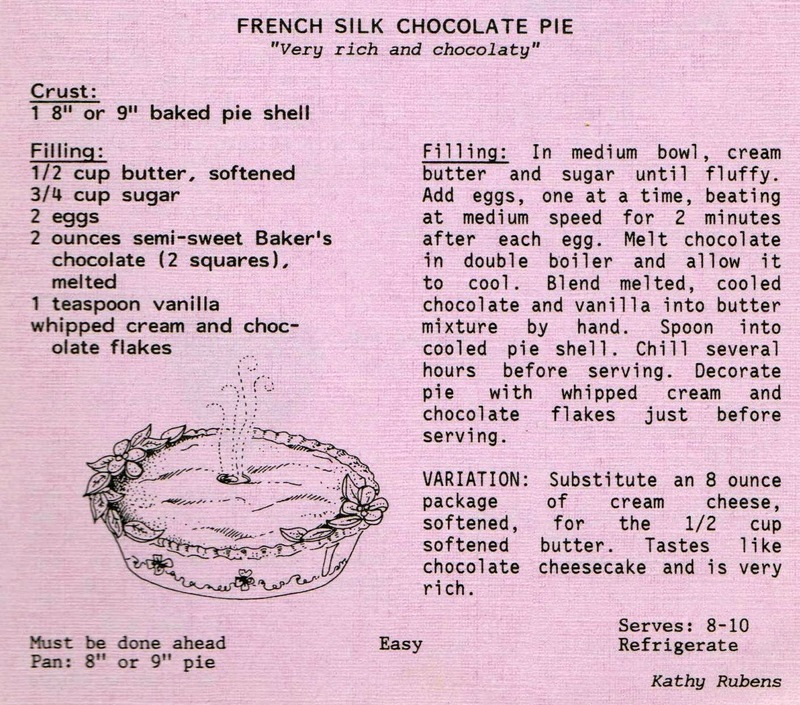 French silk pie is basically a chocolate mousse in a pie crust. 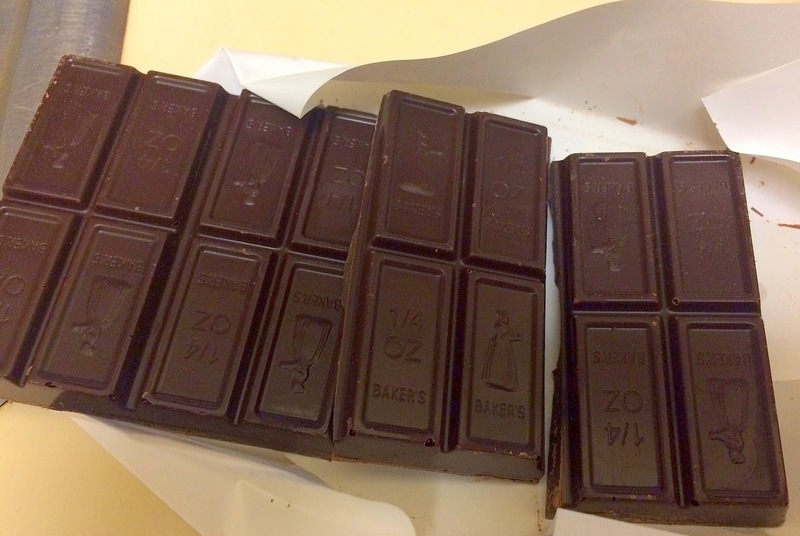 I began with some supermarket Baker's semi-sweet chocolate. After melting the chocolate (and setting it aside to cool), beat the butter and sugar. Add the eggs, beating well after each addition. and pour into a pre-baked pie crust. 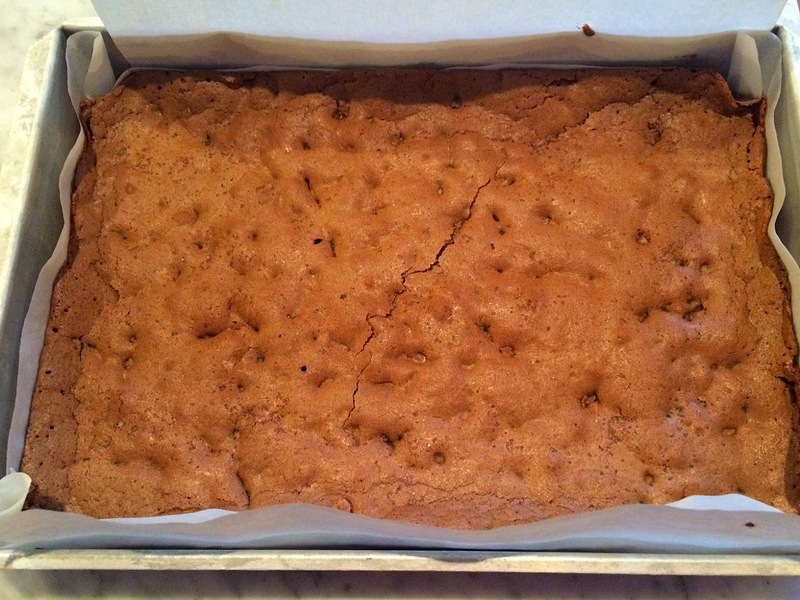 Refrigerate for several hours. 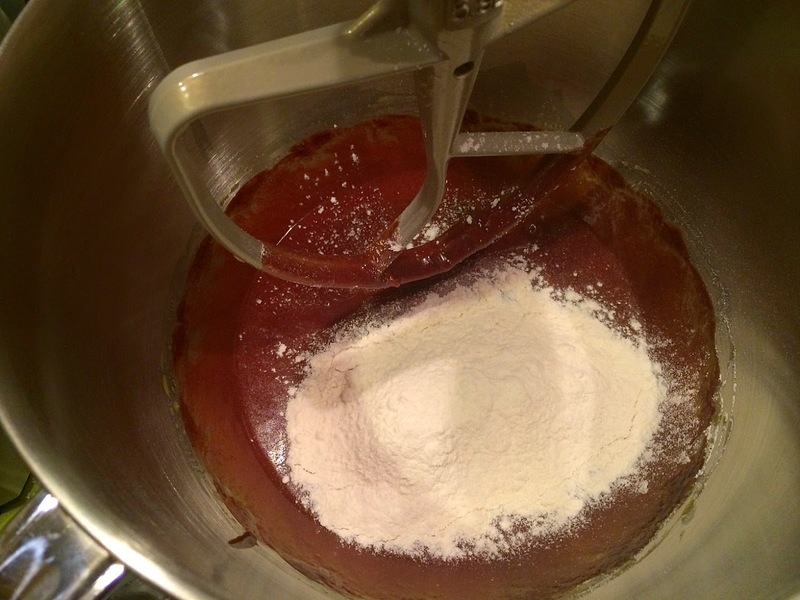 To serve, whip some heavy cream and place a dollop on each slice. With a knife, grate some of the chocolate on top for a nice presentation. 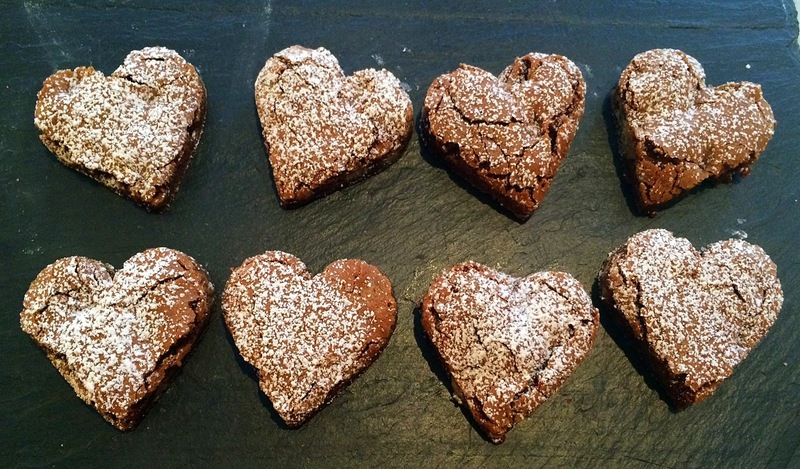 Is it too early for Valentine's Day baking? I think not, considering that many retail establishments display Christmas decorations right after Labor Day (or so it seems). Brownies are one of the easiest baked goods to prepare, and are one of the most beloved for good reason. 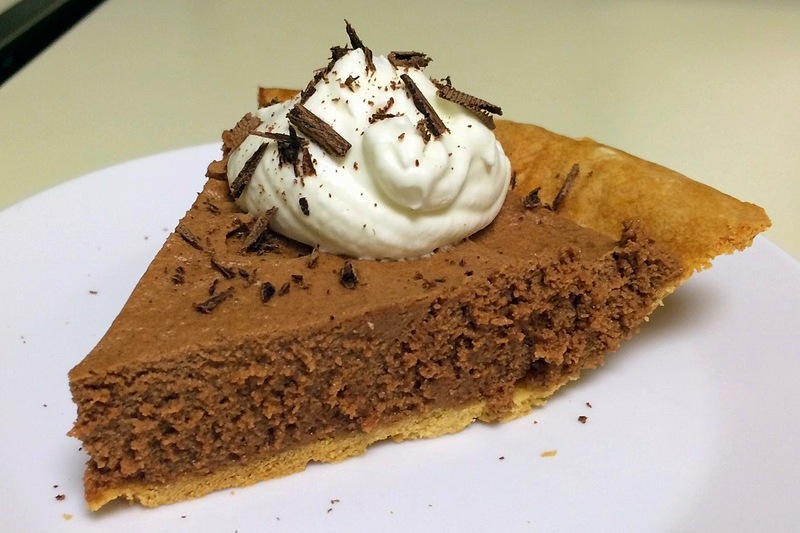 Simple, delicious, and chocolate -- what's not to love? 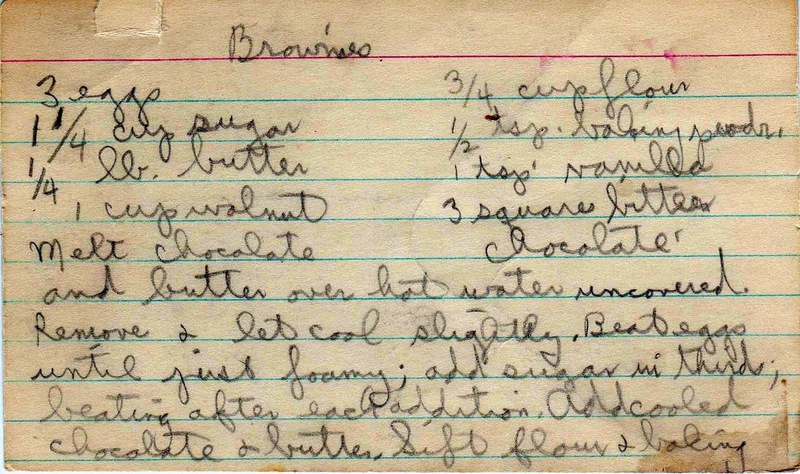 There are probably millions of recipes for brownies, and this c. 1950s vintage recipe is pretty darn good. 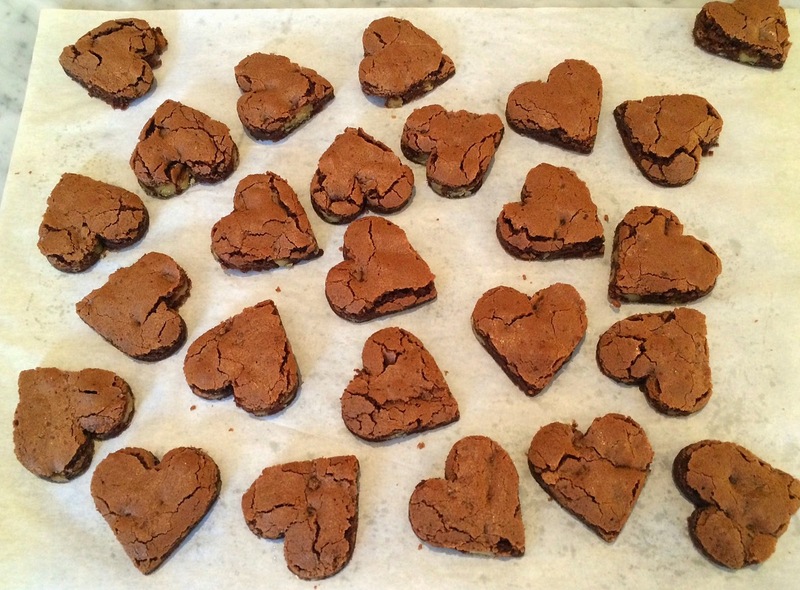 Using a cookie cutter, I made them February 14th-appropriate by stamping out heart shapes. 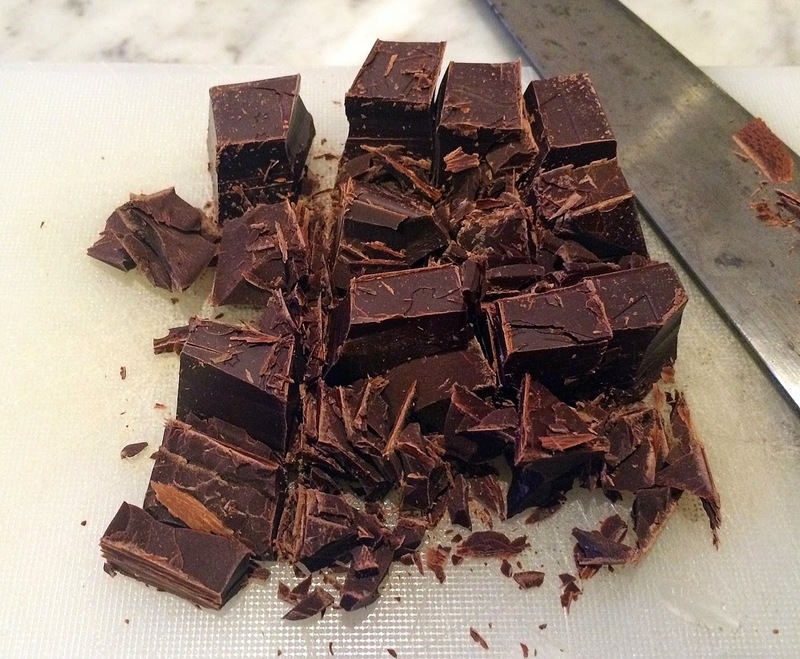 Start by chopping some unsweetened chocolate. Because chocolate is the star in these bar cookies, it's worth investing in a premium brand. I used Scharffen Berger, which has a very fruity taste, but there are many other excellent brands out there, like Valrhona and Callebaut. 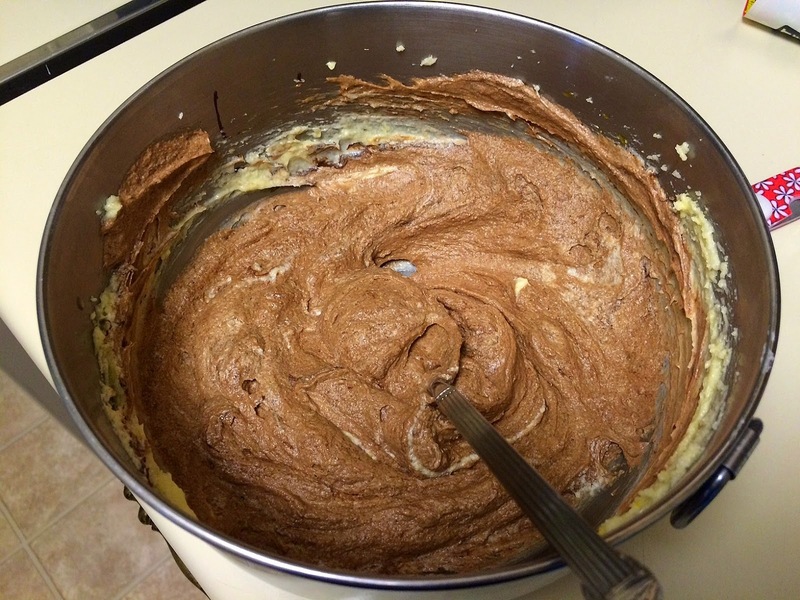 Melt the butter and chocolate in a bowl set over a saucepan of simmering water, then mix up the rest of the batter. This recipe creates a very stiff batter. Be sure to grease the pan, or line it with parchment paper. Use a spatula to smooth it to the edges of the pan. Because there is no salt in the recipe, I decided to sprinkle the batter with sea salt before baking. Cut into squares or whatever shape your heart desires. A light dusting of confectioner's sugar makes for a nicer presentation. The negative space created by the cut-outs are a special treat for the baker. 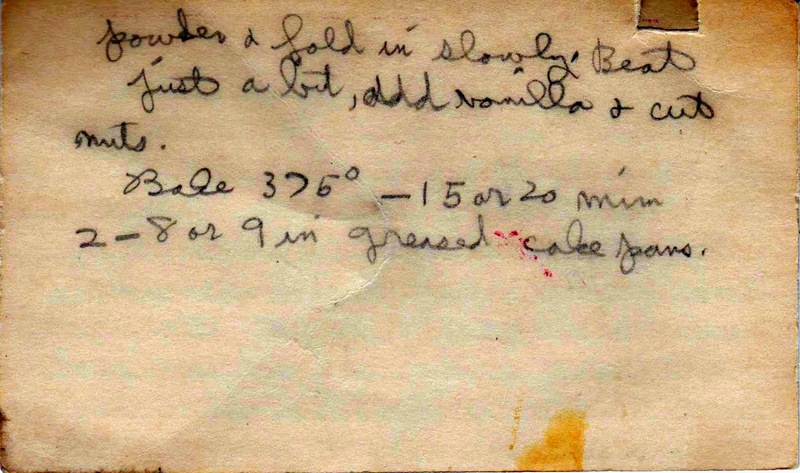 Production notes: I followed this exactly, but wrote out the recipe below for ease of preparation. I also sprinkled sea salt over the batter before baking. 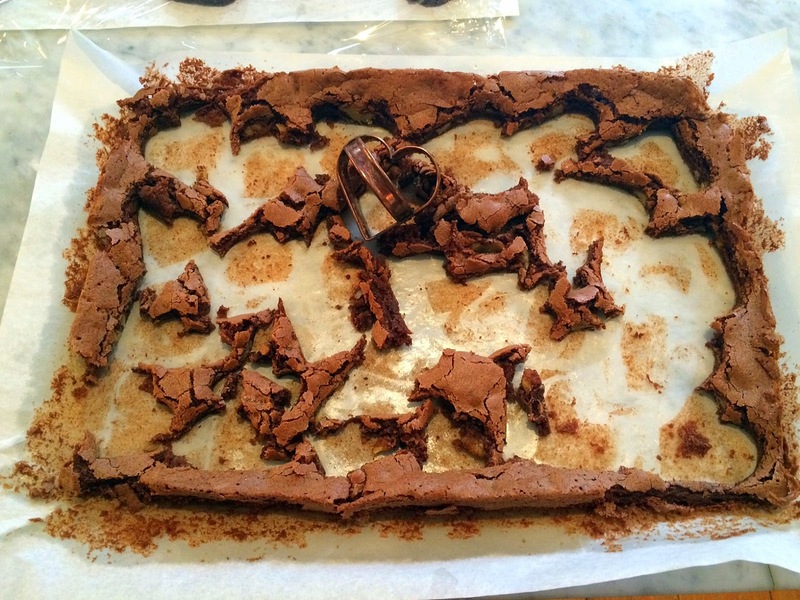 These brownies are not overly chocolate-y, which is typical of mid-20th century recipes. I used one 9 x 12 inch pan. If you plan on cutting out shapes, you might leave out the nuts (I didn't) and consider investing in a very high quality cookie cutter. I swear by those made of copper; they are strong, have a good cutting edge and retain their shape. 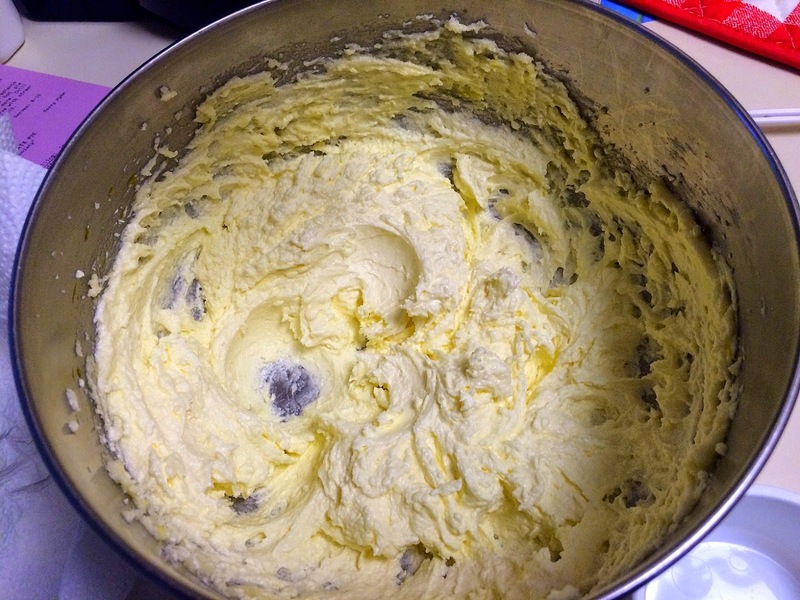 In a double boiler (or a bowl set over a saucepan of simmering water), melt the butter and chocolate. Set aside to cool slightly. 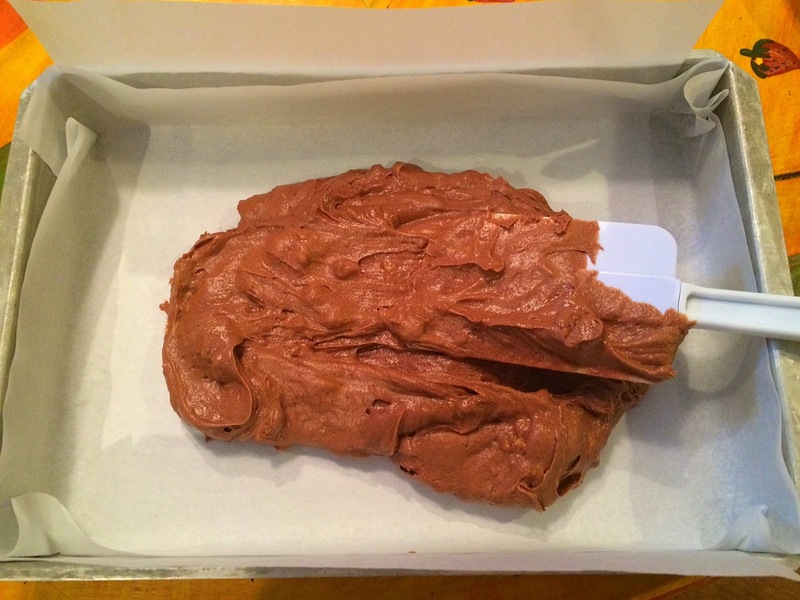 Place batter in pan and smooth until it reaches the edges. Optional: Sprinkle some sea salt on top. Bake 15 to 20 minutes. 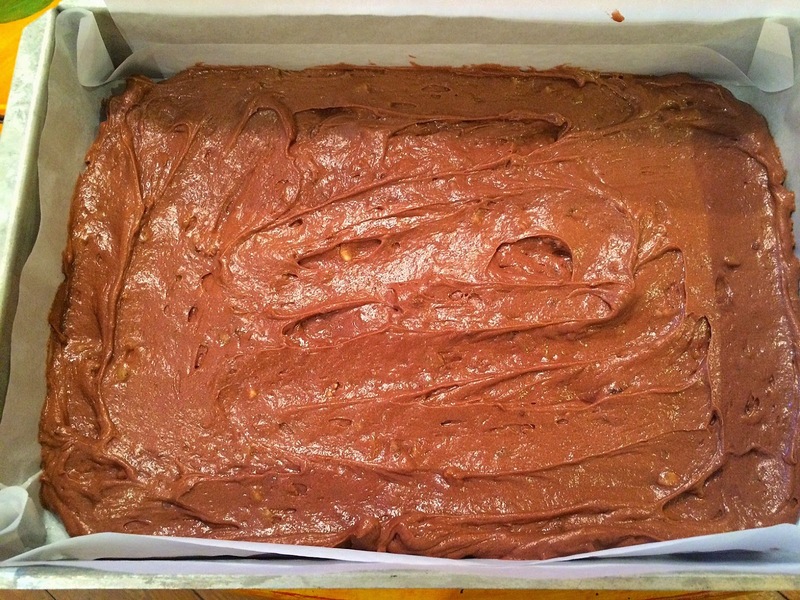 Let cool slightly and cut into squares. Or hearts.